Qualification: Pass in M.C.A./ M.B.A./ M.Com./ M.Sc. Qualification: Pass in 8th Std. 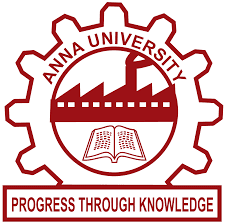 How to Apply : Eligible candidates may send their application in prescribed format (attached above) to The Professor & Estate Officer, Anna University, Chennai- 600 025 on or before 26 Nov 2018 05:00 PM, along with necessary certificates/ documents.